Natalie is a Trial Paralegal II with Dorsey & Whitney LLC. She has over 25+ years of dedicated litigation experience, which includes her occupation as a legal secretary and Branch Office Liaison Administrator. As a trial paralegal, Natalie teams with attorneys in all phases of complex litigation, provides support from inception through and including trial and has an emphasis in trial preparation for multi-million, high-stakes civil litigation cases for international high-profile executive clients in the Banking/Financial Services, Commercial Real Estate, Labor/Employment industries and Civil Class Action practices. 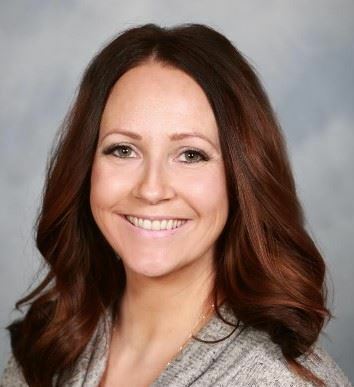 Natalie has been an OCPA member since she began her career as a paralegal professional in 2012 and currently serves as Director at Large for the 2018 Board of Directors and is Section Chair for the OCPA Employment Law Section. Natalie truly enjoys volunteering in OCPA pro bono events as well as assisting and participating in OCPA educational meetings and various social gatherings. 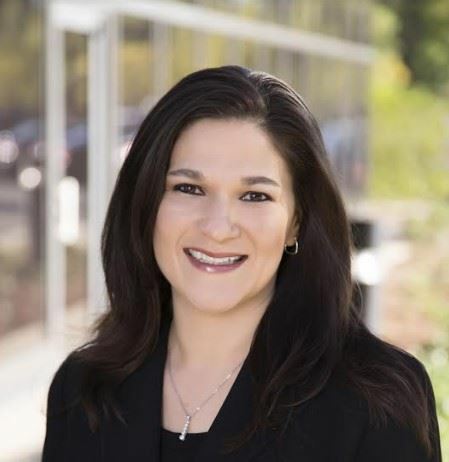 Prior to her paralegal attestation, Natalie served as Secretary for the Executive Board of Directors of the Orange County Legal Secretaries Association and personally prepared the syllabus for the Annual Civil Case Management Seminar for consecutive years. Natalie also served as a Board Member for Oak Creek Elementary Parent Teacher Association and volunteered and participated in many Oak Creek events for countless years. Natalie holds the upmost regard for OCPA, supporting the legal community, offering educational meetings/conferences and providing networking opportunities to benefit all legal professionals. Natalie shares common interest with her fellow Board Members being actively involved in the paralegal community while supporting and promoting OCPA locally and nationwide. Natalie Athas is grateful for your nomination as it would be a great honor and privilege for her to serve a second-year term as an affiliated Member of the OCPA Board of Directors. Thank you for your consideration and opportunity to assist in making 2019 yet another successful year. In addition to her service as Director at Large since 2009, Tanya serves as a Co-Chair of Hospitality and the Mentor Program. She previously served as Secretary in 2009-2010 and as co-chair for the OCPA Corporate and Real Estate Section. Tanya has thirteen years of paralegal experience in Corporate Law, Contracts and Uniform Commercial Code Secured Transactions and is currently working at Beckman Coulter, Inc., a Danaher Corporation. Her educational background includes a B.A. in Political Science from California State University, Fullerton, and a Paralegal Certificate from the University of California, Irvine. Serving on the Board of Directors over the past years has allowed Tanya to put her education and work experience to great use. She would be honored to be a part of the 2019 OCPA Board and assist in efforts in making 2019 another successful year for the OCPA. Leila is currently employed as a corporate paralegal at First American Financial Corporation in Santa Ana, California. She has a degree in Political Science from the University of California, Irvine. In 2010, Leila obtained her Paralegal Certificate from the University of California, Irvine Extension Program. She then earned her designation as a Certified Paralegal in 2012 from the National Association of Legal Assistants. Leila joined the Orange County Paralegal Association (OCPA) in 2012. Soon after, she became more involved with the OCPA by volunteering throughout the year as Promotions Chair. The following year, Leila joined the OCPA Board. Since then she has held various positions including Co-Chair of the Educational Conference in 2013, Compendium Coordinator and Hospitality Co-Chair in 2014, and Treasurer from 2015 through 2016. In 2017, Leila helped to organize the 3rd Annual OCPA Family Picnic and in 2018 she helped arrange the Newport Harbor cruise and served as Pro Bono Co-Chair. Leila has also volunteered her time at Legal Aid Society of Orange County in the Legal Resolutions division. Beginning in 2014, she was honored to join the Advisory Board of the Irvine Valley College Paralegal Program. Diona obtained her Bachelor of Arts in Art History and a Bachelor of Arts in Political Science in 2017 from the University of California, Irvine. Afterwards, she obtained her Paralegal Certificate from the University of California, Irvine in 2018. Diona began her legal career during her undergraduate studies, where she worked at an immigration law firm that specialized in employment-based and business-oriented immigration matters. She currently works at Brown and Streza, LLP, supporting two attorneys that specialize in corporate law, mergers and acquisitions, and business succession planning. Diona joined the OCPA at the start of her paralegal certificate program as a student liaison in order to meet and learn from passionate and experienced paralegals in the industry. She has actively participated and volunteered at numerous OCPA events and meetings, including the 2018 Education Conference, and would like to be more heavily involved with the association in the upcoming years as a director. Before she ventured into the legal field, Diona enjoyed working in the field of Fine Art and worked at a contemporary art gallery. In her free time, Diona enjoys volunteering, crocheting, and spending time with her two hamsters, Remy and Boba. Katherine has been a member of the Johnson Criminal Law Group team for four years. She began as a legal assistant in 2014 and is now a Paralegal and the office manager. Katherine has a passion for customer service and helping the community. Katherine began obtaining her experience in law in 2011 as a San Diego Superior Court Intern as a bilingual Spanish-speaker. Katherine was able to assist the Spanish-speaking community in the Small Claims Division and Family Law Facilitator’s Office. This work ignited her passion for the law. Katherine graduated from California State University San Marcos in 2014 with a Bachelor’s Degree in Criminology and Justice Studies. She received a Paralegal Certificate from the University Of California Irvine Division Of Continuing Education in 2017. She is a member and volunteer for the Orange County Paralegal Association and was awarded a student scholarship from OCPA in 2016. Katherine has volunteered as the Immigration Section Chair and this year is the Criminal Section Chair. She looks forward to engaging in another leadership role within the organization. As an OC Native, she enjoys the outdoors. She hopes to continue to assist and influence diverse communities in her role with OCPA while sharing her passion for her career with others. Lorena received her Bachelor’s Degree in Hotel and Restaurant Management from California State Polytechnic University, Pomona. She previously worked as a manager in the hospitality industry and has extensive experience in business. Lorena moved on to pursue a career in the legal field and earned her Paralegal Certificate at the University of California, Irvine Division for Continuing Education. She is a paralegal at the Law Offices of Virginia L. Landry, Inc., specializing in criminal defense. Lorena is also a certified Notary Public and Spanish Interpreter at the law firm. Lorena is currently OCPA’s Compendium Editor and co-chair for the Hospitality section. She served as President for OCPA in 2017 and as Vice President of Administration in 2015 and 2016. Lorena is a frequent guest speaker for student paralegal classes at Santa Ana College and UCI Division for Continuing Education. In the past she has chaired the Criminal Section for OCPA, the Hospitality section, and co-chaired the 27th Annual OCPA Educational Conference. Lorena believes that with her passion for the legal industry and with her dedication and commitment on the Board of Directors, she can continue contributing towards OCPA’s mission. Lorena would like to continue the high standards that OCPA has set for educational, career, and networking opportunities that have been specially designed for the membership over the years. Lorena enjoys getting to know others and building relationships, which naturally increases growth and career development opportunities. Hilary has fifteen years of experience as a paralegal and office administrator in Family Law and is currently employed with Hittelman Strunk Law Group, LLP. Hilary received her Bachelors of Science in Finance, Real Estate and Law with a Minor in Business Economics which she received from California State University, Long Beach. She also received her Paralegal and Human Resources Management Certificates from the University of California, Irvine. Hilary is presently a Board of Director for OCPA. Hilary has served on the Executive Committee as Treasurer in 2013 and 2014, President in 2011 and 2012, and Vice President of Administration 2009 and 2010. Hilary has also served as Compendium Editor, Scholarship Chair, Educational Conference Co-Chair, Compendium Coordinator, and Family Law Section Chair. Hilary is also an active member of the Orange County, Association of Legal Administrators and is currently serving on the extended board as co-chair of the Communications Committee (Newsletter, Website and Social Media). Hilary has also served as the co-chair of the General Meetings/Speakers Committee, co-chair of the Legal Secretaries Course and co-chair of the Finance & Technology Section. Tracy has been in the legal industry for over 15 years and has been a paralegal for over 10 years. Tracy obtained her Bachelor of Arts in Psychology from California State University, Fullerton and her Paralegal Certificate from the University of California, Irvine Extension Program. Tracy started her legal career as a legal secretary working in-house for Fireman’s Fund Insurance Company where, after obtaining her paralegal certificate, she transitioned in to the role of paralegal. Since then Tracy has worked for large law firms and, most recently, for Gibson Dunn & Crutcher where she has been a litigation paralegal for 11 years handling various matters including general litigation, wage and hour class actions, mass tort, international litigation, patent litigation and environmental litigation. 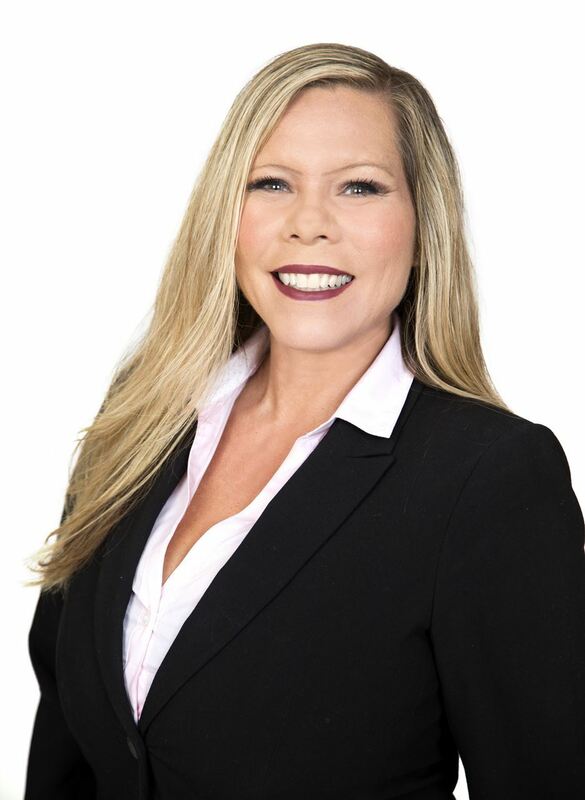 Tracy has previously served the Orange County Paralegal Association as a Director at Large during 2004, 2005 2017 and 2018. Tracy is passionate about the paralegal profession as a career choice and is excited to share her passion and enthusiasm for the paralegal profession with others. Tracy believes she can do this by serving as an Orange County Paralegal Association board member. Her goals for 2019 are to assist the Orange County Paralegal Association to continue to provide exceptional educational programs to its members that are both interesting and relevant. Tracy would also like to work more closely with paralegal students preparing them for a successful career in the paralegal profession. In her free time, Tracy enjoys volunteering, traveling and spending time with her husband Michael and their two dogs Buzz and Charlie. Carrera has served as the OCPA’s Vice President of Administration (2017), coordinating the 2017 Section meetings, Carrera looks forward to continuing a leadership role on the Board. Besides regularly attending many Section meetings since first becoming a member in 2010, Carrera strongly believes in the continuing education and mentoring of fellow paralegals. To that end, Carrera actively volunteers as a mentor for the UCI Division of Continuing Education’s Paralegal Certificate Program, has previously taught at OCPA’s CP/CLA review course, and hosted 2016’s OCPA Member Family Day event. Carrera is a National Association of Legal Assistants (NALA)–certified paralegal and currently works as the paralegal to the City Attorney for the City of Newport Beach since 2014. Prior to her current job, she worked in private practice in Family Law and Probate for seven years. Her experience in both transactional law and litigation allows her to relate to a variety of fellow paralegals in our industry. Her role in the City Attorney’s office continues to assist her in being an excellent member of Board of Directors because she helps steer a large organization in managing its people, projects, and liabilities. She fulfills and helps similar responsibilities and duties that are required and valued in both the City and OCPA. These responsibilities include excellent service to their constituents, being a role model of integrity, understanding conflicts of interest, preservation of confidentiality, protection of assets, and maintaining ethical values. Holly has been a Contracts Administrator and In-House Paralegal at Children’s Hospital Orange County (CHOC) for the Associate General Counsel since May 2017. Holly earned a Bachelor of Arts in Sociology from California State University, Fullerton and an Elementary Teaching Credential from Concordia University. Holly decided to change careers and joined the Paralegal Certificate program at UC Irvine where she received her certificate in December 2016. In her role as the Contracts Administrator, Holly ensures all contracts for the organization are managed through the contract management system. She also has served as a Paralegal for the Family Legal Assistance at CHOC where CHOC provides low cost guardianships and conservatorships for CHOC patients. Holly joined OCPA in 2016 after beginning the paralegal certificate program. She would like to become more involved in the Orange County Paralegal Association’s mission to help other paralegals achieve excellence and growth through education. She is also looking forward to opportunities to meet other professionals with the same goals. Shamika is a credentialed paralegal with 10 years of experience in the legal field. She has in-depth knowledge and experience in legal technology used to manage cases from inception through trial. She is currently a paralegal at Klein & Wilson, a business trial firm specializing in complex business litigation and legal malpractice disputes. She is also the current mock trial coordinator for her firm, which involves assembling mock juries, collaborating with various California venues, negotiating rates, selecting the menus, as well as the logistics of making sure the mock trial event is organized and runs smoothly. In addition, Shamika is an instructor at the University of California, Irvine Continuing Education Division teaching the Technology Practicum course. She earned her ABA approved AA degree in Paralegal Studies from Fremont College in 2008. In 2016, she also obtained her BA degree in Business Leadership from Fremont College. Shamika has been a member of the Orange County Paralegal Association (OCPA) since February 2015. She has previously served on the OCPA’s Board of Directors and has previously served as Chair of OCPA’s Advertising and Corporate Sponsorship section and Co-Chair of the Educational Conference section. Heather’s legal career began 25 years ago as the receptionist for an Orange County law firm. It was there she discovered her passion for the legal field. Over the years, she has expanded her legal knowledge and skillset. In 2013, Heather earned her Associates Degree in Social and Behavioral Science from Golden West College. In 2016, she earned a second Associates Degree in Paralegal Studies with honors from Coastline College. For the past few years, Heather has held the title of Mass Tort Litigation Paralegal with the law firm Robinson Calcagnie Inc. Her current caseload includes mass torts involving pharmaceutical drug manufactures, multiple law firms, and hundreds of Plaintiffs. She has intensive case management, time management, and trial preparation skills. Heather volunteers her time for Project Self -Sufficiency, a non-profit community-based program in Orange County assisting low income, single parents to achieve economic independence through education. Heather is a former client and upon her graduation in 2016 she was named PSS’s Student of the Year and was invited by the Board to become a Foundation member. Lindsay is the Corporate Paralegal/Legal Projects Manager for Alliance HealthCare Services, Inc. in Irvine, CA. Lindsay obtained her Bachelor of Arts in Psychology in 2008 from Washington State University and her Human Resources Management certificate in 2009 from Chapman University in San Diego, CA. 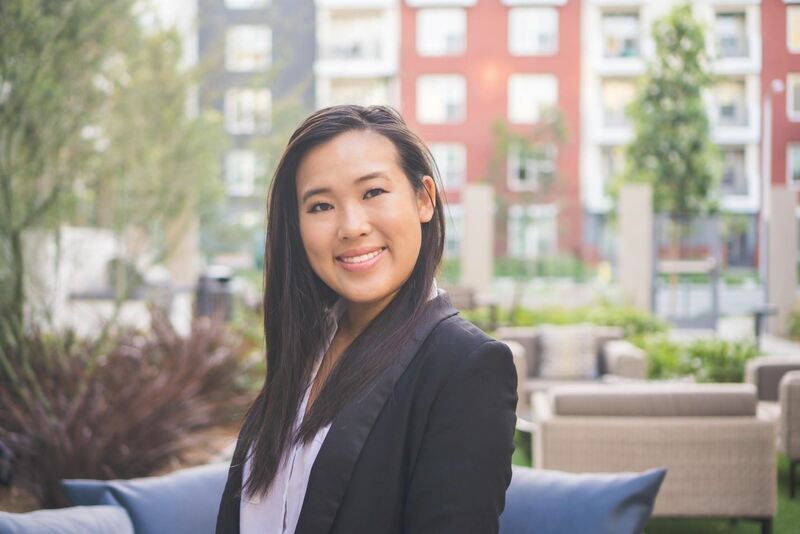 After she was given an opportunity to gain experience in the Corporate Legal department, she joined the Paralegal Certificate program at UC Irvine and received her certificate in December 2016. Her professional background includes over 10 years of experience within Human Resources, Marketing, Project Management and Corporate Law roles within the action sports and healthcare industries. She has held a diverse range of leadership positions which have developed a strong sense of professional knowledge, responsibility, team building skills and the ability to adapt to high pressure environments. She is a fast learner, willing to wear many hats and excited to learn any new knowledge throughout all aspects of business. 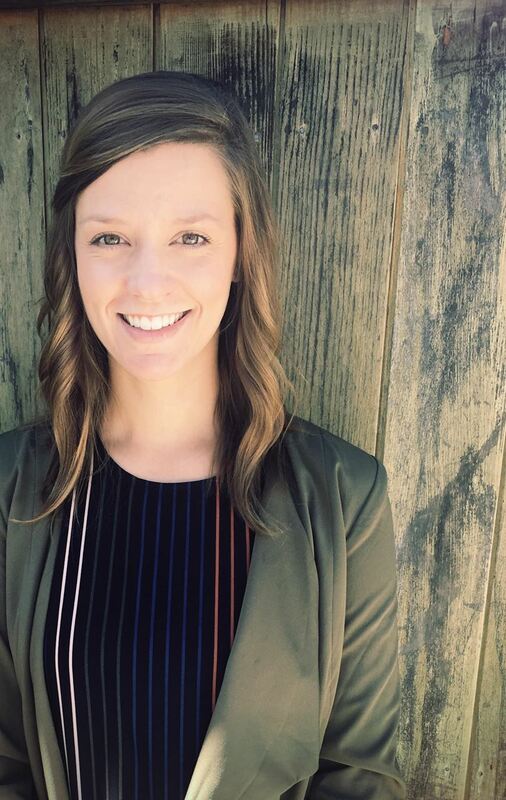 Lindsay joined the OCPA when she began her paralegal certificate program in 2015 and has always been drawn to the close community, educational information and networking that it provides. Lindsay was the 2017 Corporate/In-House Section Chair, the 2018 Public Relations Chairperson and the 2018 Educational Conference Co-Chair. She would be proud to further represent the association as a member of the 2019 Board of Directors. Buffy serves as the docketing paralegal for Robinson Calcagnie, Inc. Buffy began her career at the Robinson firm in 2005 as a litigation paralegal and upon the retirement of the lead docketing paralegal, Buffy assumed her current role in April 2014. Buffy has worked strenuously to advance the rights of those who may have been harmed by drug companies and device manufacturers. Buffy has previously served a nine-year term on the Board of Directors of the Legal Aid Society of Orange County, and another nine-year term on the Board of Directors for Human Options, a local non-profit whose mission is to end domestic violence. Buffy’s ties to her local community also run deep, having been a resident of Costa Mesa, California since 1999.